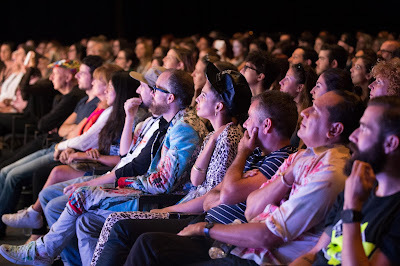 Montreal, Quebec, May 31, 2016 - A major annual event held during the Festival Mode & Design (FMD), FMD Conferences today announced an exciting 2016 program. From August 15 to 20, close to 25 local, national and international influencers will gather to share their diverse fashion and design experience with the general public. This is a unique opportunity to meet leading international figures who have made their mark on their respective worlds, each in their own way. Host, producer and reporter Stéphane Le Duc continues as Commissioner of FMD Conferences this year. A pioneer of the fashion and cultural scenes, he has more than 25 years of experience in the field, including the show Perfecto, which was broadcast in 28 Francophone countries. Le Duc has devoted a year to recruiting prominent personalities who will be part of the Festival Mode & Design's FMD Conferences this summer. Here's a preview of this year's line-up. A sculptor by training, Hervé Léger-Leroux had a brief career in hairdressing, and hat and bag design for Tan Giudicelli. Giudicelli, impressed with his work, invited Hervé Léger-Leroux to create dresses, a direction made all the more clear after meeting Karl Lagerfeld in 1980. He first worked for Fendi in Rome, then for Chanel in Paris, before opening his own boutique in 1985. A master of the bandage dress, he is renowned for his graceful, ultra-feminine draped gowns and cocktail dresses. During FMD, the general public will be immersed in this legendary fashion name's extraordinary career. Scott Schuman started his groundbreaking blog The Sartorialist in 2005. Since then, his work has been acquired for the permanent collections of the Victoria & Albert Museum in London and the Tokyo Metropolitan Museum of Photography and has been featured in many monthly publications. In 2012, he was awarded the CFDA Media Award and has published three books of street photography with Penguin. He currently resides in New York and continues to take photographs all over the world. Nothing fated Lise Watier to become one of Canada's most admired business women. Overcoming her painfully shy nature, she had a short career in television before going into cosmetics in 1972. At the time, she knew almost nothing about chemistry or business management and people predicted her bankruptcy within six months, however the name of Lise Watier quickly became synonymous with elegance and refinement, becoming the empire it is today. Jeanne Beker, Canada's leading fashion media mogul, hosted Fashion Television, broadcast in 130 countries, from 1985 to 2012. The daughter of Polish Jewish immigrants and Holocaust survivors, she studied theatre and mime and embarked upon a short acting career before switching to radio, then television. She is known for her special talent of translating the often obscure language of haute couture into simple words. Trouble Andrew, an avant-garde music and design artist, has many albums to his credit and has contributed to the design for brands like Nixon, Electric x Burton, Analog, Native Shoes, Monster Energy and YES Snowboards. His style combines music and graphics in a way that cannot be imitated. 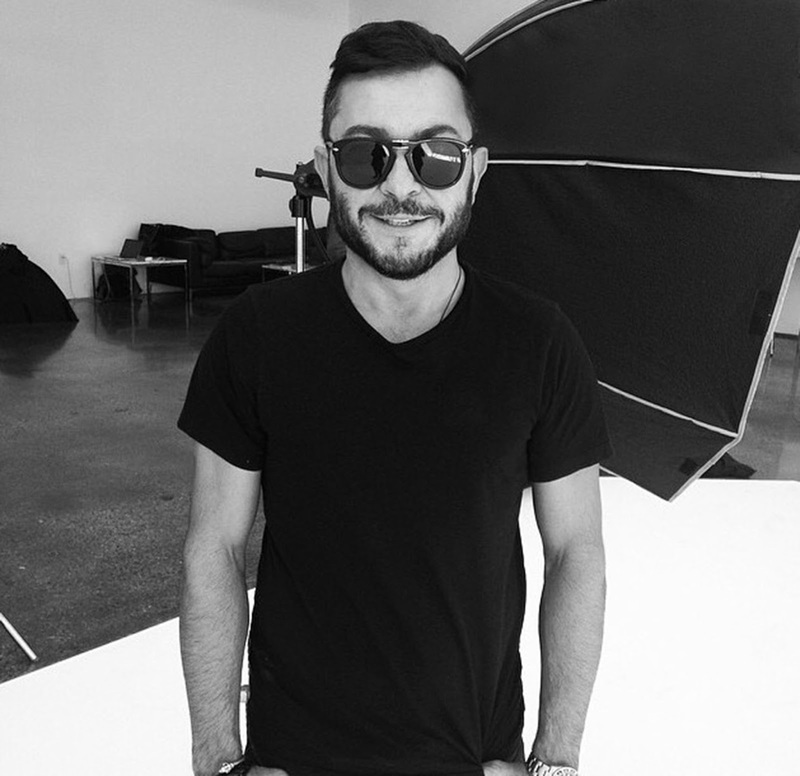 This snowboard champion, who grew up in Nova Scotia, will be at FMD this summer to discuss, among other topics, his recent collaboration with Gucci. Fashion designer, wigmaker and artist Charlie Le Mindu is known for his hair creations that blend the traditions of hairstyling, haute couture and sculpture. For him, hair is as much a part of an ensemble as clothing. His exuberant costumes have been seen on the catwalks of the biggest fashion shows and worn by pop icons like Lady Gaga, Peaches, Florence and the Machine and the B-52s. A designer of exceptional costumes, Kym Barrett initially worked in theatre before moving to prestigious mandates for film, like Romeo + Juliet and The Matrix, a film that earned her a Costume Design Guild Award nomination. More recently, she collaborated with James Cameron and Cirque du Soleil on an Avatar theatrical touring arena show. She also designed the costumes for Thomas Adès: The Tempest, a production of New York City's Metropolitan Opera. This summer, she will talk about Toruk, her most recent project with Cirque du Soleil. Max Abadian, a Montreal photographer with a brilliant international career, has immortalized the biggest names in fashion and film for 20 years, including Julianne Moore, Cindy Crawford and Gigi Hadid. His photographs are published in magazines distributed worldwide, like Vogue, Elle and Vanity Fair. His style, which seeks to capture the power and femininity of his subjects, is often described as modern and iconic. The Cinematheque Jean-Marie Boursicot is recognized as the first living museum dedicated to advertising films, including commercials dating back to the late 19th century. To share his passion, he has, for 35 years, presented The Night of the AdEaters, a traveling show of nearly 500 commercials broadcast worldwide on a giant screen. During Festival Mode & Design, Jean-Marie Boursicot will present a special edition of The Night of the AdEaters focused on fashion and fragrance, created specifically for Montreal. Mark DeCoste has more than 25 years of theatre costume experience, where he has seen and done it all, rubbing shoulders with the greatest in the field. He now works within the creative teams of Cirque du Soleil. Benoît Mathieu has been Vice President of Costumes and Creative Spaces at Cirque du Soleil since 2011. In this role, he oversees the entire life cycle of costumes, from design to replacement during the life of the show. Together, they will do a workshop on the Cirque's costumes at FMD. Artist Jean-Michel Othoniel is an internationally renowned sculptor whose creations are distinguished by his use of glass and preserved at the world's largest contemporary art museums. He is represented by the Perrotin Gallery (New York, Paris and Hong Kong), Karsten Greve Gallery (Cologne and St. Moritz) and Kukje Gallery (Seoul). He is regularly invited to create site-specific work, in dialogue with historical landmarks and modern architecture. This summer, he will lead us through his journey and the project of a lifetime — the Water Theatre Grove at the Palace of Versailles. Landscape architect Claude Cormier is the head of the firm Claude Cormier + Associés, known for developments that challenge our perception of the world, playing particularly on colour, and transcend the traditional realm of landscape design to forge bridges between urban design, public art and architecture. He has won more than 72 awards and accolades over the years and The Architectural League of New York ranked him one of the 14 game-changing designers in world design. Born and raised in Lyon, France, Antoine Roset is the great-great-grandson of Ligne Roset, a French furniture and design multinational founded in 1860. For over 150 years, Ligne Roset has been one of the world's leading contemporary furniture manufacturers. Antoine Roset is the Senior Vice President of Roset USA and one of the founding members of Be Original America, a group that educates professionals about the economic, ethical and environmental aspects of an authentic, avant-garde design. Jérôme Gautier is a fashion history expert and the author of the books Dior: New Looks and Chanel: The Vocabulary of Style. When he bought his first fashion magazine in 1991, at age 15, he could not imagine that it would be the starting point of an all-consuming passion. He currently has a fabulous collection of 8,000 women's magazines, which provide him with material for his books. The very first thing he notices is the photo. For him, even a fashion faux pas can look good! At his FMD conference, he will show us the importance of photographs in the world of Chanel and Dior. Didier Vervaeren, also known as "Mr. Belgian Fashion," is a curator and fashion expert at the MAD Fashion and Design Centre in Brussels. He is trained as both a set designer and stylist, and collaborated with designer Xavier Delcour before taking on the artistic direction of the Belgian luxury flagship Maroquinerie Delvaux. He currently divides his time between teaching, organizing international projects and fashion journalism. He will be in Montreal in August to reveal the uniqueness of Belgian creative fashion. The mmode cluster, in collaboration with the Board of Trade of Metropolitan Montreal, invites the public to discover the tips and testimonials of three Quebec brands that have succeeded internationally. During this conference-panel, guests will have the opportunity to learn more about the entrepreneurs behind these brands, the obstacles they have overcome to succeed abroad and the business strategy behind the success of their companies. Nota Bene, an NPO founded three years ago, aims to connect the next generation of entrepreneurs to leaders in different industries. For Festival Mode & Design, Nota Bene will bring together three entrepreneurs who will share their vision of responsible fashion with their audience. This will take the form of open and dynamic group discussions. To inspire and equip the next generation in fashion, starting at an early age is essential. This is the goal of Gabriel Bran Lopez and Youth Fashion in launching the Rising Fashion project, in collaboration with the ALDO Group. The project, which targets high school students, has rallied industry leaders such as Groupe Dynamite, LaSalle College and renowned designers, including Jean-Claude Poitras, Philippe Dubuc, Mélissa Nepton and Mariouche Gagné. Other speakers will be added to this line-up and will be announced soon. 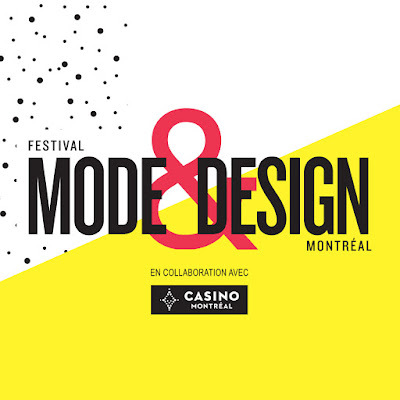 "Montrealers were seduced by last year's FMD Conferences," said Chantal Durivage, Co-Founder of Festival Mode & Design. "From what I've heard from the general public, everybody comes out of this experience enriched and inspired. And that's exactly our goal." "Once again this year, the conferences will be inspiring and full of incredible discoveries," said Stéphane Le Duc. "The key for us is to provide a glimpse at the fascinating world of international creation. The choices were made based on an instant appeal for the work of people with extraordinary talent." FMD Conferences will be held at the Musée d'art contemporain de Montréal, the Montreal Museum of Fine Arts and the Never Apart Gallery. In total, 125 passports, which provide admission to all conferences, are on sale for $150 on Ticketpro, ticketing partner of FMD Conferences. Individual tickets for each conference are also available online. For more information on Festival Mode & Design and the FMD Conference program, visit festivalmodedesign.com. 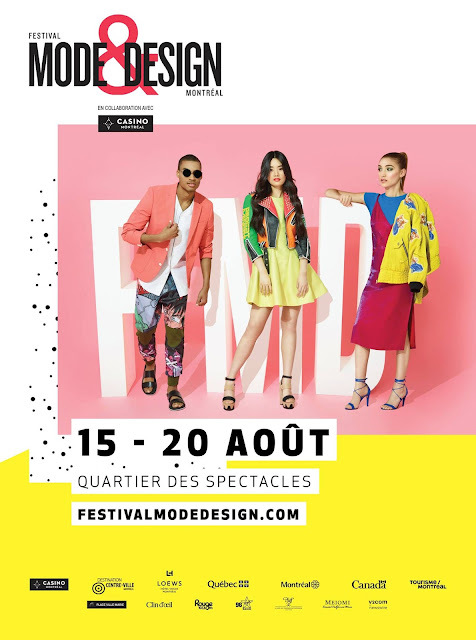 Festival Mode & Design (FMD) is an annual celebration of creativity in downtown Montréal. Created, produced and directed by Groupe Sensation Mode, this unique event offers a diverse program, including fashion shows, multidisciplinary shows, live art installations, musical performances and real-time design. Over four days and four nights, close to 50 shows will be presented, featuring renowned Canadian designers and leading names in national and international fashion. Makeup artists, hairdressers, stylists, models and musicians will all contribute to FMD's ambience. The event is the biggest of its kind in North America. For more information, visit www.festivalmodedesign.com. For the past 16 years, Groupe Sensation Mode (GSM) produces and creates major fashion and design experiential events in Quebec, Canada and abroad. Best known for producing the biggest fashion events in the country, like Festival Mode & Design, GSM has also created unique concepts, such as Fashion Theatre (on the stages of Berlin, Tokyo, New York and London) and the Fashion & Opera Runway Show in Los Angeles. The group's innovative events have served as an international showcase for designer creativity and talent.